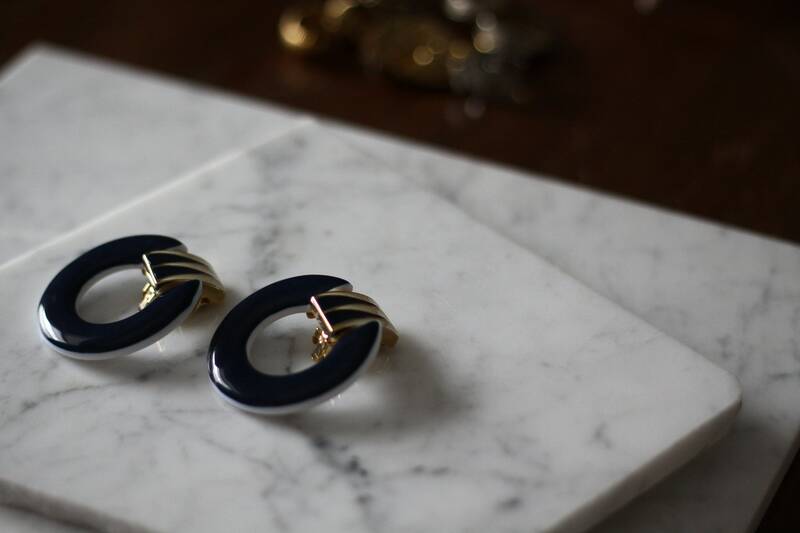 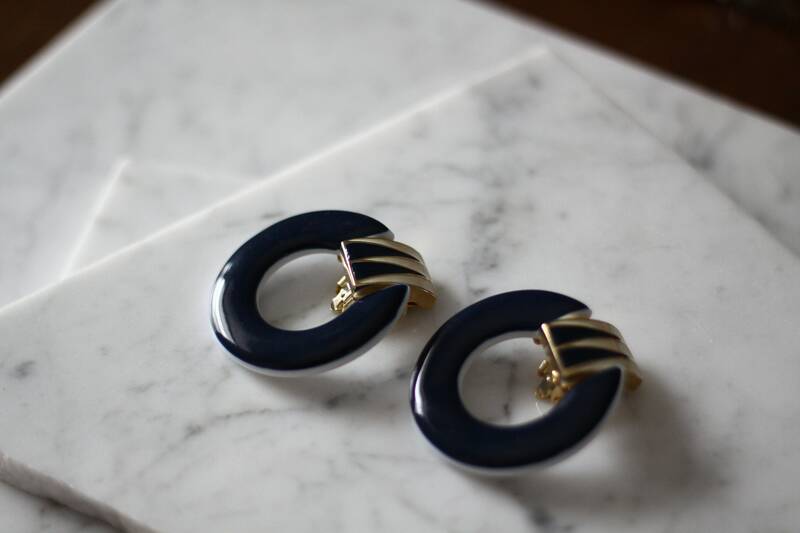 Love these 1980s circle clip on earrings. 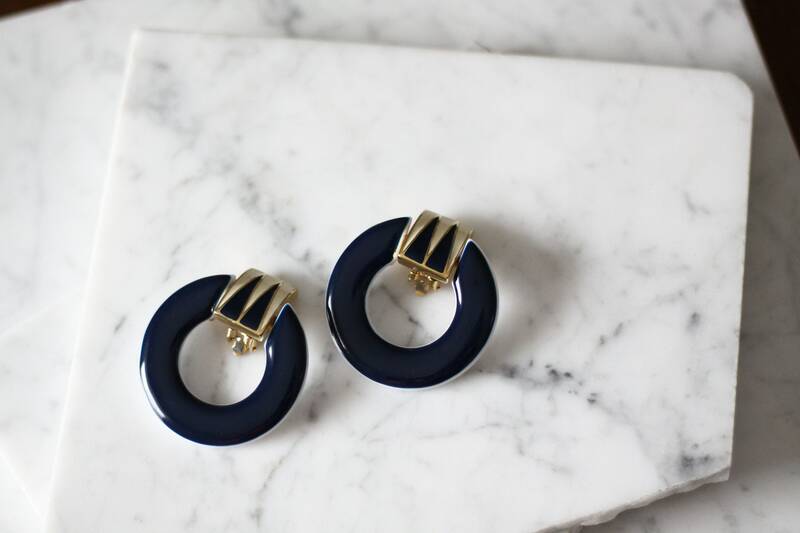 They are navy on the front and white on the back of the hoop. 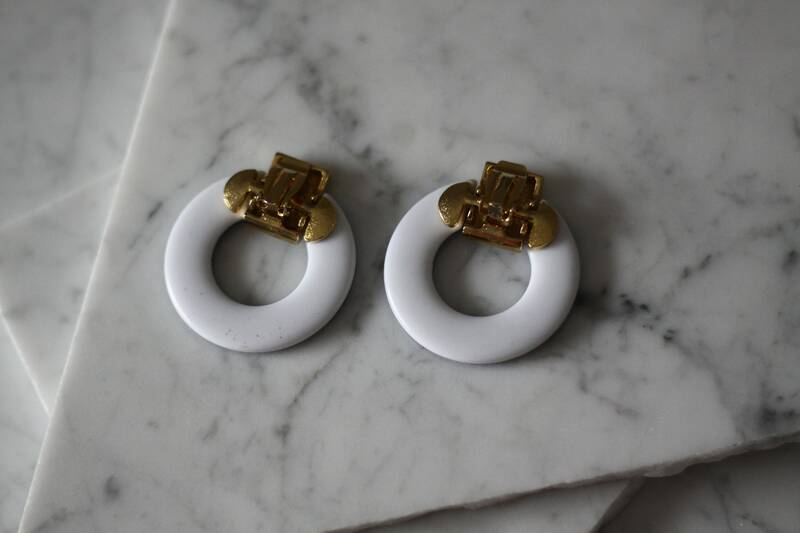 The middle of the hoops has a gold adornment and is the space where the clip on backing sits as well. 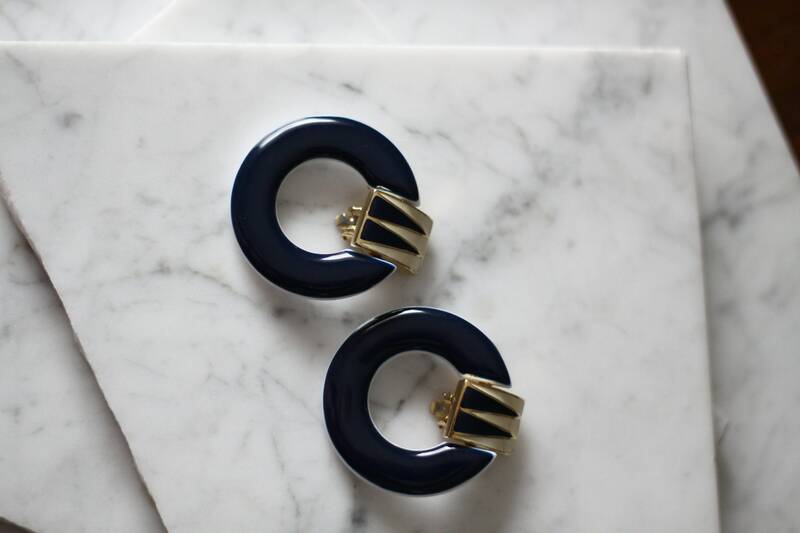 Great as a statement earring.